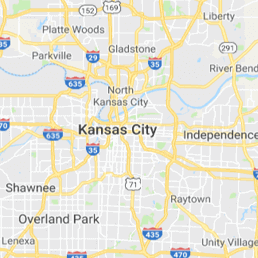 When flooding, pipe bursts, or roof leaks are wreaking havoc at home, have the experts from 911 Restoration Kansas City Metro take care of it for you! Our water damage Gardner pros have all the training and equipment that will provide you with quality repair and restoration that will patch up all the issues and give your home a fresh start! You can expect immediate help whenever you experience any water emergencies at home because our water damage Gardner specialists can respond within 45 minutes of your emergency call. Water damage can occur in areas where you don’t expect it. 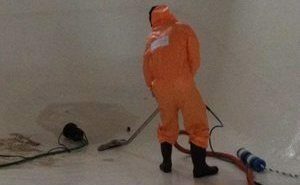 With our almost immediate response, we can help you prevent any further harm to your home and our IICRC certified water damage Gardner technicians can begin the restorations that will make any water damaged section look good as new. To help you find the best solutions to your concerns, our water damage Gardner team will be providing you with a free inspection and estimate the moment that we arrive. Once we pinpoint the source of the issue, we will get right to the repairs and restorations. 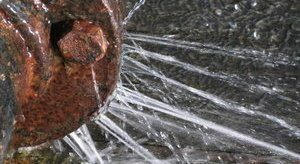 Washer hose bursts, pipe bursts, and roof leaks are among the common and cumbersome issues that can cause major headaches at home. Luckily, there are ways for you to prevent water damage from harming your home in the first place. Our water damage Gardner team has over 35 years of experience in dealing with all sorts of water-related issues. Make sure you clean your gutters and downspouts with regularity. Having a regular cleaning schedule ensures that your gutters are clear of leaves and debris which will prevent clogging. Have the pipes inspected for any signs of rust, leaks, or bursts. This early detection will allow help you keep your plumbing in shape which will prevent issues like drywall flooding and mold growth. Have the roof inspected for signs of loose, buckling, curling, or missing shingles. Repairing roof damage early on goes a long way in preventing roof leaks. Check the hoses and connectors on your water-based appliances. Look for signs of wear and tear, and replace any components if need be. Our water damage Gardner leak repair specialists wants to make sure that your home always has sufficient protection against water damage. With the tips we’ve provided, you can rest assured that your home can be a safe and comfortable place for you and your family. Our team can handle all kinds of water-related emergencies like roof leaks, pipe bursts, toilet overflows, and flooding because we are fully trained and equipped with the latest drying technology. We know that water damage emergencies can come even at the most inconvenient of times such as the wee hours of the morning. But rest assured, that our water damage Gardner team will still be there to provide you with the help that you need because we are available 24/7/365 for your convenience and peace of mind. You can also count on our team to assist you in filing your insurance claims with your insurance provider for your convenience and so you can get the most affordable price to the services your property needs. When you need quality water damage repair and restoration, you can always count on the water damage Gardner pros from 911 Restoration to be there for you. Give us a call today!